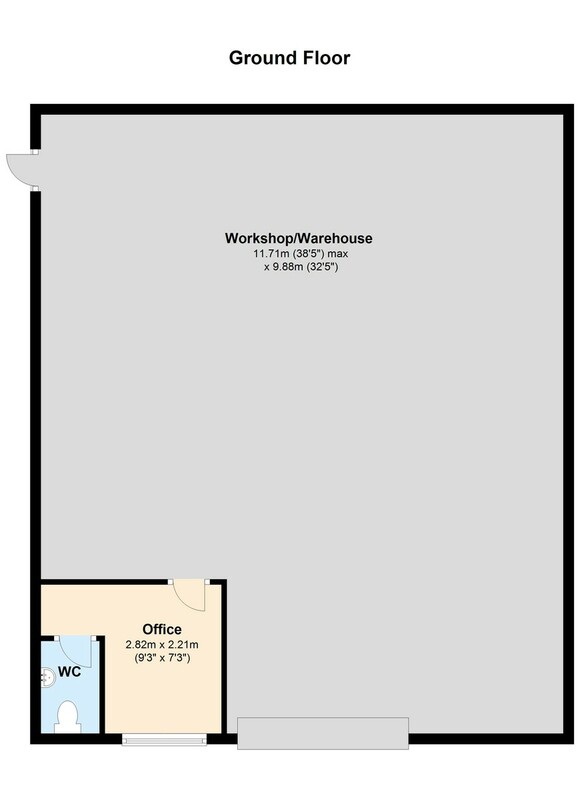 A Semi Detached Light Industrial Unit comprising 1138sqft (105.7sqm) of workshop/warehouse space, office 67sqft (6.22sqm) and WC. Roller shutter door 109 wide x 14 high (3.27m x 4.26m). Three phase electricity supply, mains water and drainage. Parking to front.